• Enjoy surprisingly rich, room-filling sound from a smart speaker with future-ready voice control. 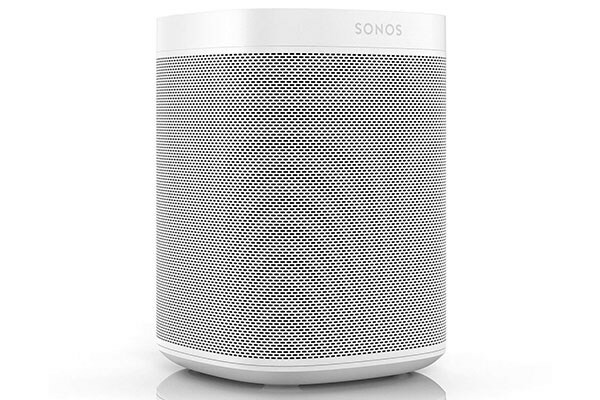 • Voice control for Sonos is not supported in your country, yet. These features will be available when Sonos and a voice service launch together in your region. • Seamless all-black or all-white colour, smooth matte finish, durable metal grille for an appearance that fits in any home. • Touch controls are always a tap away. Perfect for when your phone is in hiding or out of reach. • Humidity resistant. Perfect for the bathroom or backyard. • AirPlay 2 now available.